A couple of items any owner of a pet needs. 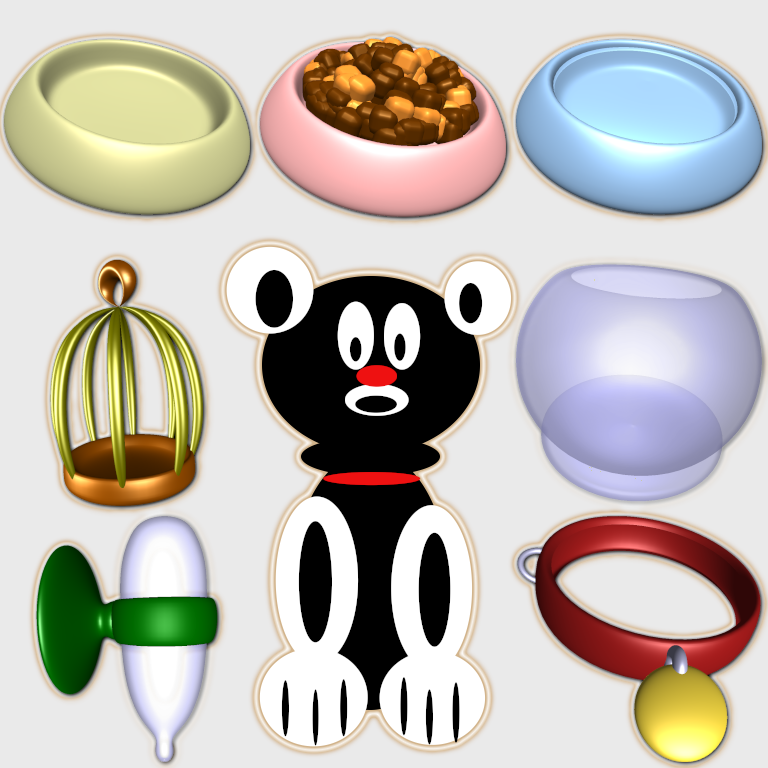 Cat or dog bowl, food bowl and water bowl. Water bottle for small animals. Dog collar, fishbowl and bird cage.